Thuli Masuku, the HR Director for Landscaping and Turf at Servest is seasoned enough to affect, yet is energetic enough to bring effect, by boldly leveraging capabilities of colleagues, be it managers or entry level colleagues. 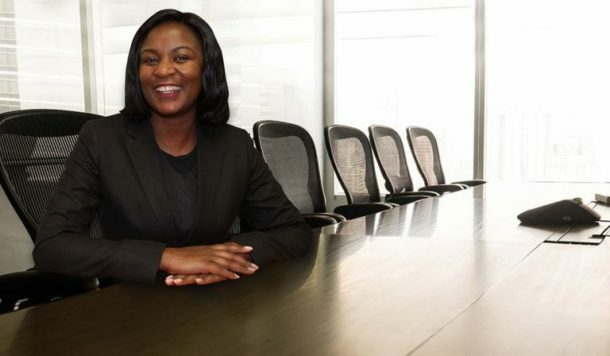 Having herself learned the ropes from the likes of Bonang Mohale, Business Leadership South Africa’s (BLSA) CEO, who she worked with at another organisation early in her career, of whom she says, had no dividing line in respect of hierarchy. She says the same of her current CEO, Steve Wallbanks, who saw her potential and entrusted this role to her. “It is your early mentors who set the tone for the rest of your career”, says Thuli. “It makes all the difference when you learn to follow in the footsteps of a great leader”, she says. Thuli’s portfolio includes the entire HR value chain, which is recruitment and selection, HR administration, training and development, industrial relations, performance and talent management, transformation, and industry standards (ISO). Despite the mammoth task, Thuli graciously dismisses the sole responsibility of the job, saying that every manager of people has an HR role to play. This she does, by going back to basics and following the 70-20-10 model of development – it is clear that Thuli places much emphasis on mentorship and on-the-job training. Training and Development is also a big deal within Servest, “the industry is highly competitive and we are more than just a-man- on- the- bakkie”, she says. She describes the Services SETA programmes as highly effective, in developing their colleagues into qualified Horticulturalists and Artisans. “Continuously re-inventing oneself through development programmes does not only empower you, but allows you to grow to your full potential in working towards better prospects”. To this effect, Servest therefore promotes from within – “we grow our own timber”, she says. Servest is a multi-billion Rand organisation, but without its people, it is worth nothing. Thuli’s job is not an easy one, as colleague relations is often the order of the day. As an integrated facilities management company, colleagues belong to a multitude of unions and to this end, Thuli is working towards combining the many bargaining units into one, to allow for the centralisation of discussions. The benefits of having a unified approach, serves both the company and its people, as it optimises the time it takes in negotiations and creates a platform for continued dialogue between management and the union/s. As a business that rely much on human resources, Servest views its people as a key asset and ensures regular colleague engagement, wellness, and motivational campaigns. A holistic approach to programmes is encouraged, especially so that colleagues do not feel exploited, but rather empowered through fair and compassionate interventions. Thuli says, “If we are to implement transformation programmes, it is more than just a tick box exercise or chasing BEE points. Our colleagues are valuable, as such, we invest in each and every one by developing programmes that are fit for purpose, as well as taking the needs of the people at stake, into consideration”. To ensure the organisation integrates and accommodates people with disabilities, a ground-breaking initiative to educate, sensitise and encourage declarations of disability was embarked on. Colleagues would normally not willingly or in public, discuss their challenges, however, through a holistic and caring approach, declarations were voluntarily made and the organisation was able to accommodate and eliminate barriers in recruitment and development, thereby improving colleague engagement and morale. Describing herself as a mentor and coach to others, Thuli says her job has only just begun. Her vision for the organisation, is to turn Servest into an employer and supplier of choice, by leveraging on innovation and technology to augment the company’s people and service offering. Despite working for one of the largest companies of its kind in South Africa, which is fertile ground for development and growth, Thuli wants to contribute by building a legacy of coaching and mentorship.